Switzerland is an integral part of tourism in the entire European continent, the lush green meadows, followed by the picturesque Swiss Alps and the environment around it. Some people might be in profound love with the natural environment but anyhow in order to visit Switzerland, they need to apply for a Schengen visa. Switzerland is one of the members of the Schengen agreement along with other 25 European countries. Because of Schengen agreement now anyone wish to visit these countries have to apply Schengen visa that allows them to stay or visit into these Schengen areas without any problem. Now you know why to apply Schengen visa for Switzerland. 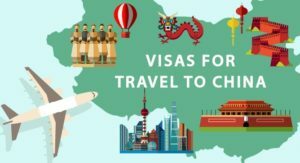 Let’s find out types of visas to provided by Switzerland. Embassy of Switzerland offers different types of visas for different purposes. In short, there are two types of visas i.e. Short-term visa & Long-term visa. 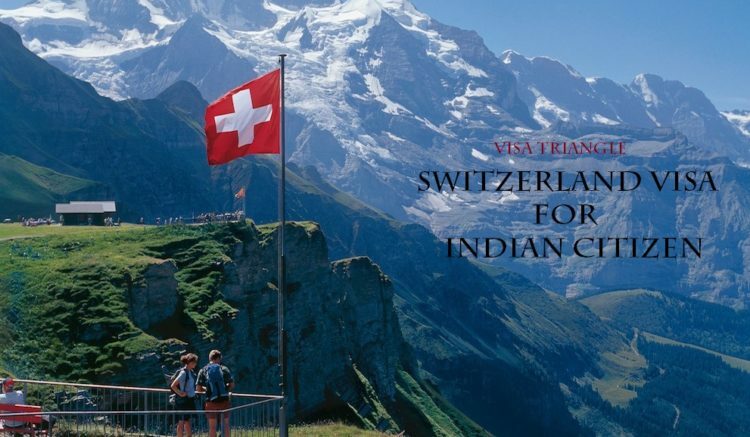 Short Term Visa for Switzerland – This type of visa normally applied for Business, Visitor, Students for up to 90 days, Tourism, Incentive tours & work permit for up to 120 days in 12 months. These are the occasion which required a short-term stay in Schengen area. Long Term Visa for Switzerland – Family Reunification, Students for more than 90 days & Work Permit for more than 120 days comes under the Long-term visa category. Step 1. An application for a Swiss visa must be submitted & collected in person or by an authorized travel agent to the Embassy of Switzerland at New Delhi. No applications are entertained if sent by courier/post. Step 2. Schedule an appointment date for the short-term visa with the Switzerland visa application center. Step 3. Visit Switzerland visa application center on the appointment date with all the required documents along with Schengen visa application form for verification and submission. Step 4. Recieve Acknowledgement receipt for visa fees & service charges payment. Now, we are done with types of visas & how to apply them. Let’s find out the list of required documents for Schengen visa for Switzerland. At first, one needs to download the Swiss visa application form. fill it up carefully & sign it. Original passport with at least 3 months validity after the scheduled return, attach the old passports if any. 2 passport sized photographs with white background (35 mm X 45 mm). Cover letter stating the purpose of the visit and the entire day to day itinerary. Travel insurance covering €30,000 in the entire Schengen region. Flight reservations with all travelers name with exact dates of travel, if applicable provide tickets of traveling within the country. Proof of confirmation of Hotel reservations. Last 6 months Bank A/C Statements with seal & sign of bank. Last 3 years ITR form & Acknowledgements. Last 6 months Personal & Company Bank A/C statements with seal & sign of bank. ITR Form & Acknowledgements for last 3 years of Personal & company. Proof of personal pension bank statements for the last 6 months. Last 6 months bank A/C statements of Parents. An employment contract with a letter which approves of our leave. If a student, there needs to be a letter from their university stating their ‘no objection’. Swiss Business visa requires few additional documents & rest as same as the tourist visa. Here is the list of additional documents required for Schengen Business visa for Switzerland. With complete details of the invitee: Company name, Invitee full name, company address, and official Email-ID with the telephone number. Complete day to day schedule info of trip with date & purpose of the trip. For other documents required for a Business visa – refer the list of Tourist visa documents for Switzerland. Embassy of Switzerland usually takes around 15 working days to process short-term visa like Tourist or Business visa. In case of any additional documents required normal processing time may vary from 15 days to another additional 10-15 days. To make your visa application process smooth & hassle free it is advisable that applicant should apply for Schengen visa for Switzerland at least 1 month prior but not more than 3 months before the intended date of journey. Once the officials of visa application center approve our visa application form, we will be asked to make a payment by cash or card and we have to remember that this is not refundable. The cost of the Visas for different countries vary. There is no visa fee for children below 6 years but VFS Global Service Charges are payable. With this, the entire event for the Schengen visa for Switzerland approval ends and if there are more issues or queries it is always advisable to speak to the concerned schengen experts or contact visa triangle consultant. We would love to help you to get your visa swiftly.